Só para contar as novas notícias. Rock House, the leader in music instruction, announced today that Brazilian guitar virtuoso Kiko Loureiro is the latest musicians to join Rock House’s roster of master instructors. Kiko is the driving force behind the band Angra who has sold millions of CDs and toured the world several times over. Kiko is often voted by magazines and fans as one of the most talented guitar players worldwide. Young Guitar Magazine quotes “His guitar playing is top notch and can be compared to the masters like Vai, Satch and Petrucci. 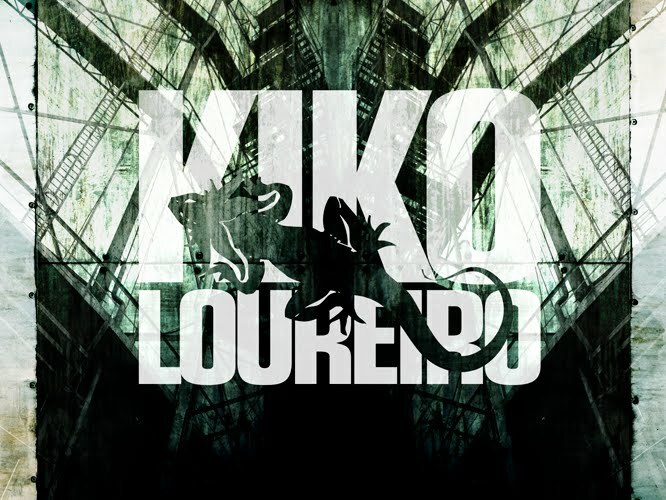 Kiko is a versatile guitar player with a deep knowledge of Rock 'n' Roll, Heavy Metal and Jazz which you can hear in his solos, riffs and melodies. He is also known for infusing traditional Latin rhythms into his playing. Production is slated to begin at the end of January 2009, no release dates have been set. There will be at least two instructional DVDs where students will gain an understanding of his musical foundation and how his global musical vision can help expand their own guitar playing. Topics will include his approach to building melodies, his use of arpeggios, his unique tapping techniques, Jazz harmonies and much more. “Kiko is one of the most complete musicians we have every signed, on his 2005 solo record No Gravity he not only plays guitar he also handles percussion, keyboards, piano, bass and acoustic guitars on the album.” States Joe Palombo, Executive director of Rock House. Kiko’s instructional products will be available at MI retailers around the world for $24.99. Stay tuned at www.RockHouseMethod.com, and www.kikoloureiro.com.br for information on release dates. All Rock House instructional products are distributed through Music Sales Corp. 1-800-431-7187; or call Gordon at 1-866-You-Rock. Each on of Kiko’s DVDs will come with a FREE tab lesson booklet, iPod ready video and membership to Rock House’s lesson support site at www.RockHouseMethod.com. This feature, exclusive to Rock House and its partners offers students supplementary support for the lessons featured on the DVDs. Rock House has developed an accelerated yet easy-to-use system of learning that utilizes the functionality of DVD and Print, integrated with the accessibility of the Internet. Aspiring musicians who have a product produced by Rock House receive free membership to www.rockhousemethod.com for 24-7 lesson support. Students use this fully interactive site along with their product to enhance their learning experience, expand their knowledge, link with instructors, and connect with a community of people around the world who are learning to play music using The Rock House Method®. As a new Rock House Method member and now a follower of yours, welcome and thanks for the great music and another reason to keep me at my lessons. Concordo, e pra nos, quando vai ter ?